Recently using MIUI 5. Then I personally feel that it has more features that I like comparing to CyanogenMod and Namless ROM. In my opinion, the worst is Samsung stock ROM. Because it has a lot of unnecessary apps. Previously I used CyanogenMod, installed it in a Samsung phone. It is clean and rooted and busyboxed. That is why I can enjoy the power of root. Due to another device not supported by CyanogenMod, Nameless ROM was installed. In my opinion, Nameless ROM is very similar to CyanogenMod, just it is less popular and under development stage. Yet it supports some devices not supported by CyanogenMod, such as Samsung Galaxy Tab 10.1. Previously, with the fame of MIUI, I tried to install in Samsung Galaxy S. The result can only be described by one word, “awful”. It is slow, design is too colourful, not rooted, and there are China directories which are very annoying. Then recently, just bought Xiaomi Mi 3 with MIUI 5. It is not rooted, and I do not plan to root it because this will void the warranty. Because of the better specifications, it is fast. The first thing I did is to tell myself to ignore the China directories. The second thing I did is to change the theme. 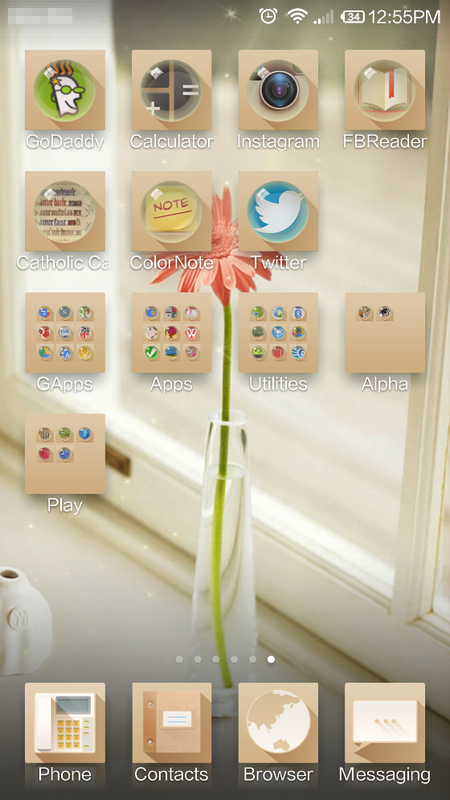 Unlike Samsung stock ROM, MIUI can apply some themes online. The interface of MIUI is more eastern oriented, which is more suitable to me. The design like CyanogenMod is more western oriented. One of the great features I like most in MIUI is the permission manager. It allows users to manage the autostart apps. We can disable them. Even more, we can disable the apps to avoid them to use data usage, or avoid them to use WiFi. This is to reduce the unnecessary internet usage. Other than that, there are also popup messages for us to allow or disallow for the permission such as using camera, using GPS, and so on. That means, the users have much privilege to control over the apps. I believe, rooted MIUI will be even more powerful. Now waiting MIUI 6 release in Xiaomi Mi 3.